During the first half of 2014 we saw a great deal of lively, insightful and constructive debate taking place between a range of professionals and interested parties from across the ELT industry. We saw the evolving relationship between author and ELT publisher examined in posts from Nicola Prentis, Nik White, Janet Aitchison and Steve Elsworth. We watched the maelstrom of commentary surrounding Knewton’s adaptive learning software across the series of interviews and subsequent response pieces from Cleve Miller and Lindsay Rattray. We contemplated the role of the author as learning content creator in Scott Thornbury’s two-part post on course book writing. With the sole exception of Janet Aitchison’s post, however, the voice of the ELT publisher is noticeably absent from some of these often-contentious debates playing out on eltjam.com. With this in mind, we thought it would be interesting to get the views of a board-level ELT publisher to get their reaction to the conversations taking place about and around them. The publisher we singled out for an interview was Mr John Tuttle. 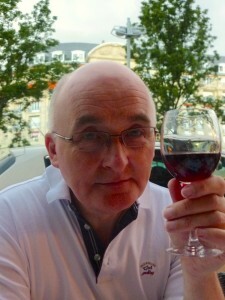 John has worked in Education and ELT publishing for thirty-five years. His CV includes substantial sales and marketing stints at Macmillan and Nelson Publishing. Upon joining Cambridge University Press after Thorn’s acquisition of Nelson, John headed up the R&D department looking into new technologies. He then moved into ELT as Head of Digital and then Deputy Managing Director, where he remained until his retirement last December. He has been operating at board level since the tender age of thirty-one. ELTjam: You’ve got quite an impressive track record in ELT publishing, John. JT: Yeah I was lucky, but it has been fascinating because in that time I’ve witnessed the growth of the ELT industry and I’ve been able to compare and contrast what’s been going on in K12 with developments in ELT. Initially in ELT there was a big focus on pedagogy. The courses being developed by competing publishers represented different pedagogies and, although you could argue that there was a one-size-fits-all export mentality, that was just a function of the industry developing. Of course, it’s become far more sophisticated and fragmented now. ELTjam: So when you first started in ELT competition between publishers was based on the pedagogy they were using rather than the efficacy of the content? JT: I think that’s right. I think that was also true of Educational publishing where the curriculum was less prescriptive. That enabled publishers to develop approaches, whether it’s to maths or science, for instance. I see this as a kind of maturing process because in the early stages of an industry a certain creative freedom can exist but as governments and agencies focus on standards there is a tendency to become more prescriptive. So, in the case of the UK, the national curriculum, for instance, was a step in that direction. Then, under New Labour, it got down to the actual structure of a lesson plan with the numeracy hour and the literacy hour. I think we see similar things in ELT where you move from an industry that perhaps initially had more of a focus on pedagogy and editorial and the author (with Guru authors, “Show people”) and a real excitement about the best way of teaching, with the UK and International House perceived as experts and that being exported. But the industry then moved to being more corporate, with more of an emphasis on marketing and a stronger sense of service and the methodologies began to settle. Competition shifted to the ability to work with the customer, sales power, added services like teacher training and doing market research from a product development perspective. ELTjam: You’ve really seen ELT publishing shift from an industry focused on pedagogy and the author to product development. I think the fundamental role of the ELT publisher hasn’t changed. Essentially, I believe that ELT publishers are about facilitating teaching and the learners’ acquisition of language. There’s the potential for publishers to help set and raise standards globally. That has been there from the beginning. But, as the world has opened up, English continues to grow. The demands from the consumer side have become more specific and, as a result, publishers have to respond to those needs. What we’ve seen is a move from a one-size-fits-all global export through to adaptation and customisation to a particular region, to being fully based in a region and developing market- (even customer-) specific materials and resources. That has essentially meant that publishers have broadened the services that they’re offering but, essentially with the same goal of facilitating teaching. ELTjam: You said that ELT publishers are adapting. We tend to hear quite a lot about ELT publishers being slow to adapt. Would you consider the ELT industry as being entrenched in any way? JT: Fundamentally no, but I think this touches on the massive transition that is taking place between the old (but still relevant) print model and the online, technology-based model. At the moment what I think we’re witnessing is rapid investment from ELT publishers in new technologies, particularly around delivery. That’s necessary because of the growth in online, but it does mean that you could argue that publishers are carrying two levels of costs at the moment. They are still supporting a more traditional model whilst investing heavily in new platforms, new technologies and experimenting with new business models that are unproven or are only beginning to be proven. That does arguably put a constraint on the speed at which they can move, but I don’t think it is slow. I think the perception of that comes from when you compare what’s going on in the ELT publishing industry with new entrants and venture capital-funded developments; startups, companies like LiveMocha and others who are unencumbered by an existing business and can appear to be moving faster. But then, if you look at the levels of investment required they are very substantial. Therefore, there is a potential synergy to be had because the sunk costs in developing new technologies, such as adaptive learning, are so large that it probably makes sense for partnerships to evolve. And I do think that the knowledge that the ELT publishers have to offer has a major part to play in representing the voice of the teacher, and representing the sort of practical issues that teachers and learners face. In a way, informing the developments in EdTech. That’s not to underestimate left-field innovation. That has its place as well. ELTjam: So, the common misconception of a slow-to-react publisher is based on them balancing two divergent business models? One is the simple notion that publishers essentially print the work of an author and ship it to an outlet. I think that that perception underestimates the value that the publishers bring in terms of first class editorial work, design (traditional design and instructional design), the investment in teacher training, all of the support in a locality, the risk that publishers are taking in investing in new technologies, and the cost of research to support products and to validate the appropriateness of the product. So, there’s a misconception there. Essentially, it’s a huge creative enterprise and, of course, there is a network that surrounds the publisher: authors, external designers, etc. but pulling all of that together is itself a creative activity. The development process benefits from a critical dialogue. If there is a misconception it may be because this effort is not readily visible. So, that’s the sort of “old” model if you like. A “new” misconception is that online publishing makes things cheaper, easier and faster. That is a misconception because it is expensive to develop. It might ultimately be faster in terms of distribution. In time, when the technologies become embedded and relatively mature, then that perception of cost might be true, but at the moment I don’t think it is. This is Part 1 of a 3-part series. In Part 2 we talk about the developing role of the author within ELT publishing, and in Part 3 we talk about the reaction to adaptive learning, and what the future holds for ELT. Thank you for publishing another insightful interview. Over in the United States, the same patterns can be seen with increasingly government control with the Common Core standards for K-12 ELD (English language development to avoid a “deficiency” bias toward English language learners) and more mandatory “life skills” in adult education courses. These trends would be more welcome if the standardized tests were both more authentic and deployed more language skills. Here’s a quick summary of the type of American education requirements: http://www.wida.us/DownloadDocs/standards/2012Amplification/2012Tutorial/player.html Note the “can do” rhetoric and mandated use of “positive” phrasing. From my perspective, the approach seems quite simplistic compared to UK and EU standards. Perhaps I’m wrong. Given this increasing prescriptive approach from governments, I can imagine a growing gap between education products and technologies chosen by individuals for self-study of English and private language schools and much more comprehensive, standards-based materials deployed in government schools. The two-pronged approach of traditional ELT publishers might be savvier than it appears today. It’s an interesting and worthwhile point about the cost of digital products not necessarily being cheaper. It’s one I have mistakenly made myself but, having had a non ELT book published digitally, I found out how expensive the development of the tech needed to do something relatively lo-tech but new is, in this case making it Choose Your Own Adventure with ‘hyperlinks’ for moving around in a Kindle. There’s very little chance sales of my book alone will ever make that back for them so they have to incorporate that cost somewhere or find another way to use the tech. Perhaps you could tell us what the 3rd part is so we don’t ask questions about material that you intend to cover. Thanks, Michael. Have added a short description of upcoming instalments. Hope that helps.